Pine Weevil (Hylobius abietis) are a major problem on forestry restock sites and a particularly heavy outbreak can destroy up to 80% of plants. Historically, plants were sprayed with insecticides either on the nursery or in the field in order to prevent or limit attack, however, there are increasing calls for the use of chemicals in the natural environment to be restricted meaning that alternative options need to be explored. At Alba, we provide chemical treatment options when requested by the customer under controlled conditions on the nursery, however, we believe that other methods can be just as effective with far reduced environmental impacts. 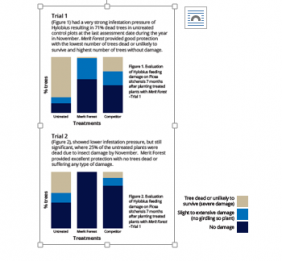 Non-Chemical Control Options – we believe that a number of non-chemical options can be explored in order to reduce the impact of Hylobius. 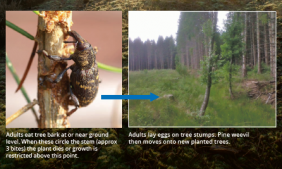 GOOD SILVICULTURAL PRACTICE including the use of containerised plants that lend themselves to excellent early establishment can be beneficial in the fight against Hylobius. This allows plants to get above the invading weeds and to become strong and girthy enough to withstand weevil attack. The application of controlled release fertilisers at the time of planting also boosts early development. 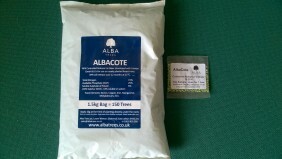 Alba provides a range of fertiliser products that cost 3.1p per plant and the benefits of containerised trees are discussed below. 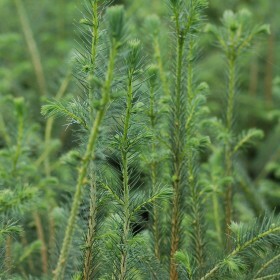 WEENETS have been developed by Alba as a step towards reducing the amount of chemical used in the forest and to protect newly planted trees against Pine Weevil. WEEBARS can be used in conjunction with the WeeNet, the WeeBar plastic collar patented by Alba acts as a physical barrier to prevent weevil climbing the stem of the plant. Still in the trial phase, the collar is fitted at the nursery and incurs minimal additional costs per plant to the customer. Contact our Sales team on 01620 825 058 or sales@albatrees.co.uk to discuss further. This entry was posted in Uncategorized on July 13, 2017 by Chris Allan.